Joseph A. Tunzi is widely acknowledged as one of the most reputable authorities on Elvis Presley's recordings. Photographs from his own photo agency have appeared in the liner notes to numerous audio releases by B.M.G./R.C.A. as well as magazines such as Time, People, and T.V. Guide. His photos have appeared in numerous books by other authors, the Larry King Live television program, the 1998 Country Music Awards telecast, as well as a 1997 television commercial for Blockbuster Video. Find out more about Joseph Tunzi on Wikipedia. 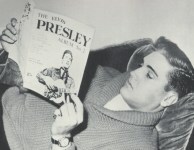 The Elvis Information Network did an interview with Joe Tunzi in 2012, see Part 1 and Part 2. 1994 - Elvis '70 - Bringing Him Back! 2006 - Elvis Presley As The One Called Charro! 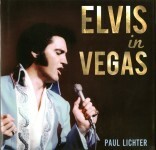 Note 1: The book "Flip, Flop & Fly" has the same ISBN number as "Elvis '69"